The lesser-known gems worth exploring in 25 cities worldwide. Everybody has those iconic vacation photos posing by major attractions the world over—jumping in front of a famous sky-high landmark, balancing in tree pose on a mountain, or a view-from-the-top cityscape that makes you hold your breath. We’ve seen them all (on Instagram, on Facebook, on your phone during a post-trip recap), and we understand their allure. But if you’ve already crossed some of the world’s biggest attractions off the bucket list, why not revisit your favorite cities with a new goal: to explore the equally worthy sites that just don’t seem to get as much love? If you’re game, we’ve rounded up our list of the most underrated attractions in some of our favorites spots worldwide. It’s time to start planning—and brainstorming what pose you’ll strike when you get there. Read on for our list, or skip ahead to your city of interest: Amsterdam; Atlanta; Baltimore; chicago; Denver; Hong Kong; New York City; Paris; Philadelphia; Portland, Oregon; Rome; San Francisco; Sydney; Toronto; and Washington, D.C..
From the Van Gogh Museum to the Anne Frank House, Amsterdam has its share of blockbuster attractions—but there are plenty of lesser-known, and frankly underrated, sights to explore, too. Here are some of our favorites. A short tram or bus ride from central Amsterdam in Amstelveen, the CoBrA Museum is inside a beautiful building designed by architect Wim Quist, and houses playful and colorful works by the avant-garde 20th-century CoBrA group (the name was created from the home cities of its members: Copenhagen, Brussels and Amsterdam), by the likes of Karel Appel, Constant and Corneille. The movement began in 1948 and its legacy was significant—Paul Klee was among the artists influenced by it. 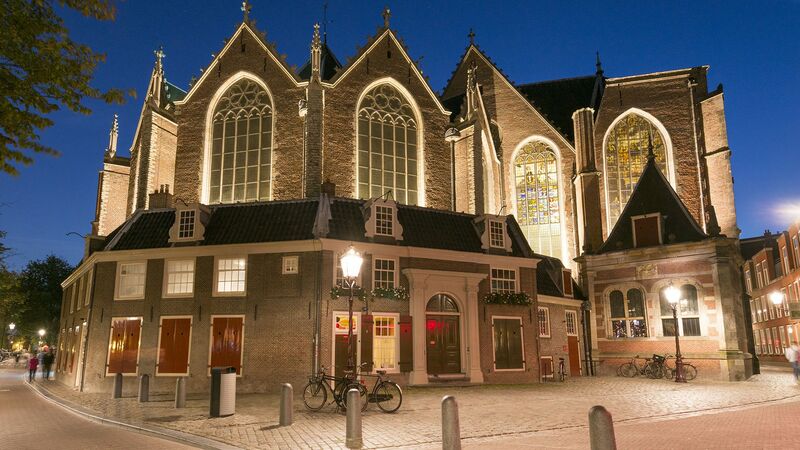 This beautiful medieval church is Amsterdam’s oldest building. It occupies a picturesque location in the heart of the red light district, where it seems to attract few tourists (most who come here are interested in quite different things). It’s a great place for getting your bearings in the city—climb the church tower for a stunning birds’ eye view (check the website for times). The church hosts a variety of cultural events, and adjoining it is a postcard-perfect little café with a small garden. 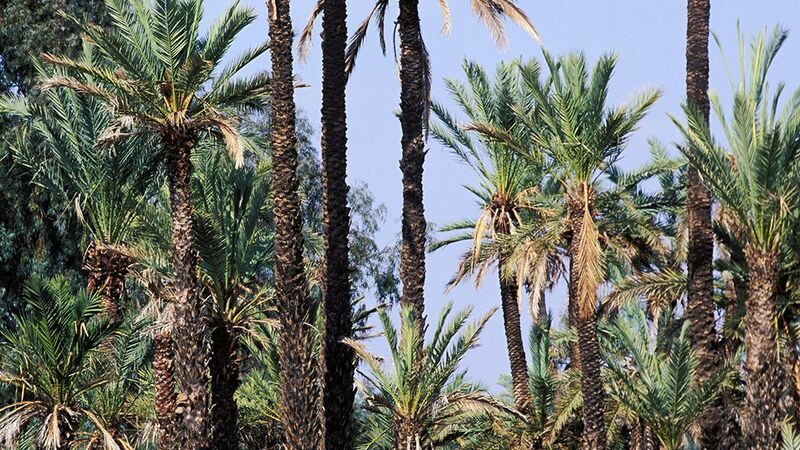 Few tourists seem to explore this eastern district of the city, yet it has some wonderful features: Artis, the city zoo; one of the world’s oldest botanical gardens in Hortus Botannicus; perhaps the best Turkish food in town; and lots of green spaces to stroll through. Take a walk through the Plantage neighborhood to Park Frankendael—once the country estate of a wealthy 17th-century merchant, and now a park complete with a country-house exhibition space and some quality restaurants (try De Kas or Merkelbach). In the west of town, the area in which this spacious green park is located is a bit too modern and working class to be touristy, but it offers a more restful experience than the ever-busy Vondelpark, as well as a taste of the ‘real’ Amsterdam. The park boasts sculptures, a petting zoo (De Uylenburg) and what many consider the best kids’ playground in town, so it’s great for a family outing. Founded in 1575 by Lucas Bols, the world’s oldest distilling company, Bols, runs this interactive museum and tasting room in celebration of the original Dutch spirit, genever, and its many flavored offshoots. The tour is an insight into the ancient, and very Dutch, art of distilling, and the visit ends with a delicious cocktail (or two—you can refill your glass for a modest sum). A fascinating look into the Dutch experience of World War II, with a variety of often touching everyday exhibits that help to shed light on what made the collaborators, as well as the resistance fighters, tick. A separate display looks at the last days of Dutch colonialism. This compact and quirky little museum inside a tulip shop tells the story of the tulip in Amsterdam—including its origins as an early Turkish import, and the phenomenon of tulipomania, the world’s first speculation bubble in Rembrandt’s day. Both Ray Charles and Gladys Knight wrote famed songs in tribute to Georgia, and for good reason. 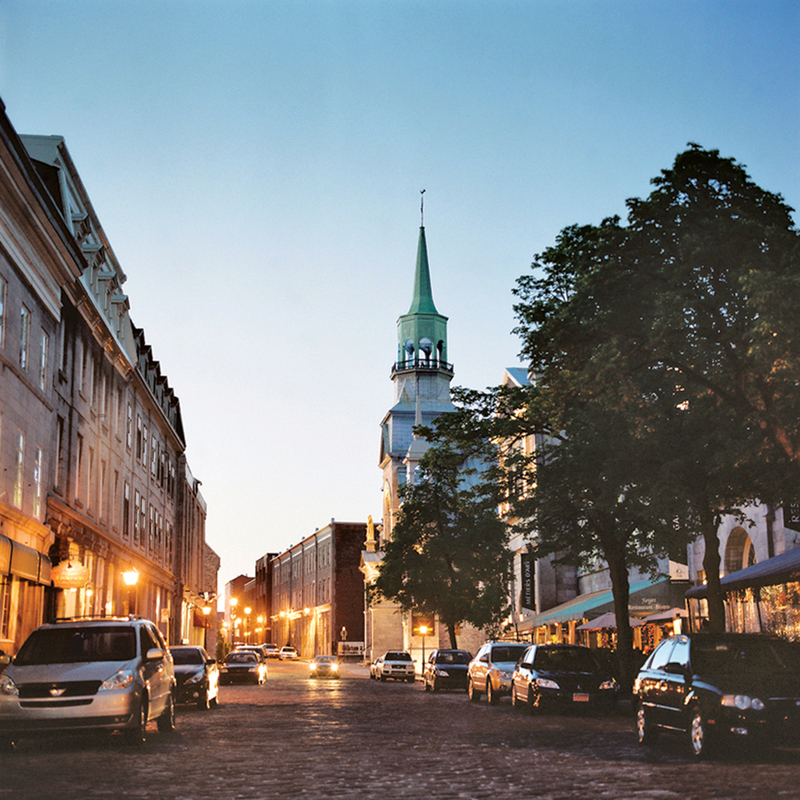 The lush greenery, abundance of historic sites, thriving culinary scene, Southern hospitality—which is not a myth—all set it apart. Nowhere in the state are these attributes more on display than in the capital of Atlanta. Since you've likely already been to this metropolis and visited its biggest draws, read on for the treasures that often go overlooked—and make sure not to miss them. Perhaps one of the most historic streets in Atlanta, Edgewood Avenue and the Edgewood Retail District has undergone a resurgence in recent years, sprouting much-coveted restaurants and new bars. Sister Louisa's Church of the Living Room & Ping Pong Emporium, known simply as Church, is one. Minutes away off Moreland Avenue is Edgewood Avenue's retail district, where notable local shops such as Beehive, a co-op for artists and creatives, draw crowds for their wares, as well as their craft classes on things like paper flower making and knitting. This Atlanta-centric store features knicks and knacks the kitchen and cooking. A varied selection of pots, pans, stand mixers, and knives can be found at all three of Cook's Warehouse locations throughout Atlanta, with some locations featuring a fine wine selection, too. Additionally, Cook's Warehouse has a full roster of cooking classes on cake pops to making pasta from scratch. For those interested in learning even more about food, there is a volunteer-based cooking school assistant program. 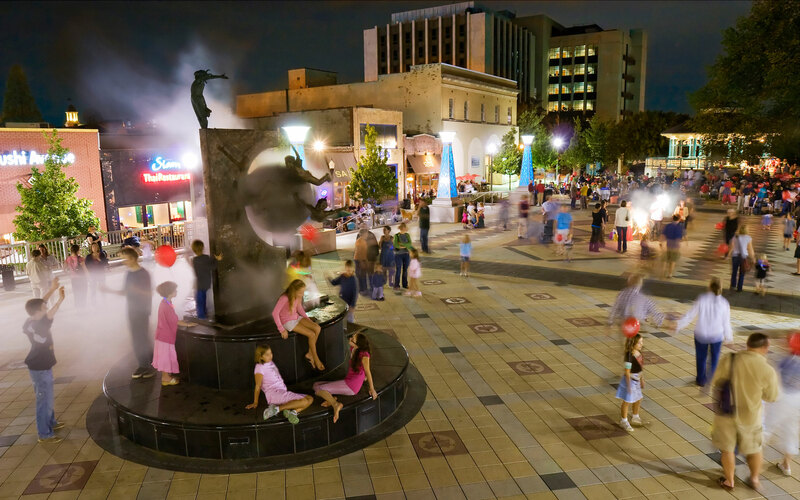 Just minutes away from Atlanta proper, the city of Decatur and its downtown area is bustling with character. With local boutiques and shops galore, it's the perfect place for unearthing unique finds. Don't miss dining in downtown Decatur at spots such as the Raging Burrito, Sushi Avenue, Iberian Pig, Leon's Full Service, Cakes and Ale, Taqueria de Sol, and the Pinewood Tippling Room for inventive cocktails. Virtually everything at DeKalb Farmer's Market will make you marvel. Shoppers can browse fresh spices, a stunning selection of local and international wines, breads baked daily, vibrant produce, and succulent meats and seafood. There's a hot bar for takeaway—perfect for lunch or dinner on the go—and if you've got a sweet tooth, the bakery has cheesecakes, brownies, cakes, and an assortment of cookies. Tip: bring cash because they don't accept cards at the bakery counter. While DeKalb Farmer's Market deserves a lot of shine, so does the equally great Buford Highway Farmer's Market. With an emphasis on international fare and unbeatable prices, this market is a dream for the food-obsessed. There are also a plethora of restaurants and eateries lining Buford Highway, from Chinese to Vietnamese, Mexican and Peruvian. Until last year, this fascinating attraction was only open to Delta employees. What a more fitting place for it than Atlanta, the birthplace and headquarters of Delta airlines, to stroll this museum exploring beautiful planes, do a flight simulation, and learn about all things aviation? The museum is open Monday, Tuesday, Thursday, Friday, and Saturday from 10:30 a.m. to 4 p.m, and from noon to 4:30 p.m. on Sunday. Tickets are $7 for children and $12.50 for adults. Held on the second Friday of every month, the art stroll is a well-kept secret in historic art district Castleberry Hill. Art aficionados can expect to start the stroll at 7 p.m. and wander through various art galleries. Restaurants and businesses offer special offers for art stroll participants until it ends at 10 p.m. There's a reason that Baltimore is referred to as "Charm City." From its world-renowned museums, high-class restaurants, and historic neighborhoods, there is a lot more to the city than meets the eye (or what The Wire depicted). The city is full of famous landmarks, and you can't miss the Inner Harbor, the Baltimore Aquarium, the Maryland Science Center, or popular neighborhoods such as Federal Hill, Fell's Point, Mount Vernon, and Canton. While all of these sights are worth checking off your list, they're not the only things to see. Here are a few lesser-known attractions you shouldn't miss, either. Here's your chance to get a bird's-eye view of how spectacular the city is. The Top of the World Observation Level, a viewing deck on the 27th floor of the World Trade Center, offers panoramic vistas from the top of the world's tallest pentagonal building—right in the heart of downtown. New exhibits about local landmarks, famous people, and historic events elsewhere in the building will further entertain. Maryland has a rich and beautiful African American history. Named after the richest African American man of the 1980s, who happens to hail from the city of Baltimore, this museum honors the state's African American legacy with exhibits that explore the bonds of family and community, slavery's hold on the state, and the use of art and education to overcome oppression. Festivals have become increasingly popular in Baltimore and beyond, and the city hosts a number throughout the year that appeal to a number of different demographics. First, the African American Festival, held annually in June, celebrates African American food, culture, music, and local businesses. This family-friendly event is fun for all ages, and features celebrity guests, local vendors, musical performances, and empowerment seminars. For art enthusiasts, Artscape is the largest free, outdoor arts festival in the country, and attracts artists from not just across the U.S. but around the world. Held each year in July, this three-day event offers a variety of musical performances, visual arts exhibitions, and live art installations. Book lovers can also unite at the Baltimore Book Festival each year in September, spotlighting both local and national authors to celebrate their works. This event is marked by workshops, panel discussions, children's activities, and more than 100 exhibitors and booksellers. You can also head to Baltimore Pride, now the largest LGBT festival in Maryland, which grows annually as attendees come out for a day of food, fun and celebration. As one of the city's most acclaimed restaurants, Salt Tavern is a must-visit on any Baltimore tour. Co-owned and managed by mother-son duo Jane and Jason Ambrose, the menu offers regionally sourced food, such as arctic char with smoked salmon mascarpone, caper berries, and meyer lemon, as well as a boutique wine list. Its convenient Fell's Point location makes it easy for visitors and locals alike to stop by any night of the week—and they do. 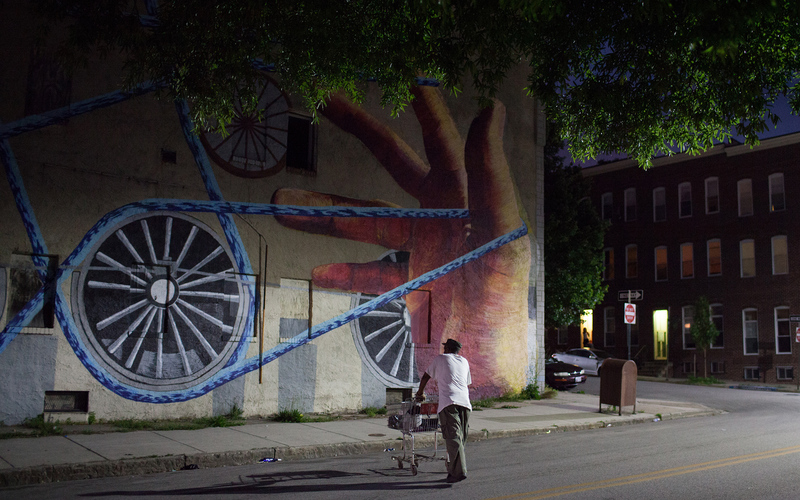 Located in the Southwest side of Baltimore, Pigtown is a community most notably known for its working class railroad laborers back in the 1840s. Baseball fans may be familiar with Pigtown, which is also Babe Ruth's birthplace, and history buffs may know it because it was once where pigs were loaded off trains to get slaughtered. Today, however, you should know it for its recent revitalization that has attracted young families and new energy. Dive deep into the neighborhood's past and present at the Baltimore & Ohio Railroad Museum, located on the north side, and by strolling its Main Street retailers. For all your cultural and artistic needs, visit the Station North Arts and Entertainment District. Centrally located across the neighborhoods of Charles North, Greenmount West, and Barclay in the heart of Baltimore, this creative hub is perfect if you're looking for something different. There's a diverse collection of artist live-work spaces, galleries, rowhomes, businesses, and a trip there supports the local community. Chicago is undoubtedly an impressive city, not only in size, but in its offerings of world-class museums, award-winning restaurants, and award-winning theater. But instead of spending the afternoon on the rides at Navy Pier, shopping along the Magnificent Mile, or retreading its other popular attractions, check out the city's most underrated things—and make your next trip stand out even more. 21. Chicago Pizza and Oven Grinder Co. The city is famous for its deep dish pizza, but have you ever had one cooked upside down, in a bowl? Chicago Pizza and Oven Grinder Co. does just that with its pizza pot pie ($12) that flips out of the bowl and onto your plate into the form of a traditional pie. Beyond the food, the building is in a historic location, across the street from the site of the St. Valentine's Day Massacre in 1929. Lake Michigan is grand, with stunning views and sandy beaches, but for a different perspective, try the Riverwalk. The pedestrian walkway cuts through downtown along the Chicago River from Lake Shore Drive to LaSalle Street. It's currently under some construction, but you can still visit the restaurants and museums along the way, or rent a kayak to paddle down the river. Second City and the Chicago Theatre are justifiably famous, but Bring Your Own Theater Productions is a new type of performance in the city that's making waves. "It's a bit different from any other live show I have seen or been a part of before," says Greg Torbeck, a performer with the company. "We go from concept to performance in 24 hours. Each month features a theme, voted on by attendees of the previous month's show, that isn't revealed to the performers until a Friday night pre-show meeting. After it's announced, writers and directors and actors are paired together, and the entire show—from writing to performance—is turned around by showtime on Saturday night at 8 p.m. This is the melting pot of the Midwest, and what better way to celebrate the local culture than by learning about the ones that formed it? Sure, Museum Campus is great, but wrap your mind around the background of local immigrants at places like the National Hellenic Museum, the Chinese American Museum of Chicago, the Swedish American Museum Center, and more. They're not just for tourists anymore. The wheeled wonders are actually fun and take locals and visitors alike on unique tours throughout the city, through Lincoln Park, on a gangster tour, or on a hot chocolate trip. Why freeze yourself silly in the winter when you can walk underground? The Pedway connects about forty blocks (some five miles) of the central business district. And there's a free tour of it, too. 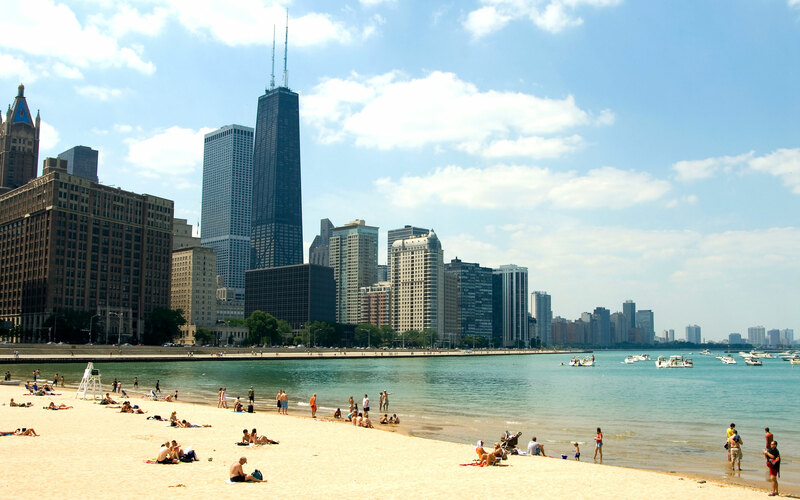 Small but centrally located, Ohio Street Beach has amazing views of the city and substantially fewer people than the ever-popular North Avenue Beach. Concessions and chair rentals are available, and it connects to the Lakefront Trail. Forget Red Rocks, access to skiing, or even the Broncos. The best things about Denver are secrets to just about everyone living outside of the Mile High City. If it wasn't on your 2016 travel list, it should be. Gone are the days when the city was just a stopover or a cow town lacking quality restaurants. Today, the city has a thriving art scene, amazing outdoor activities, and boasts topnotch places to imbibe. Here are seven underrated spots sure to impress (and, if you're curious, what made the list for overrated attractions, too). This edgy and well-located museum provides a perfect afternoon escape for art lovers downtown. Don't miss the rotating exhibitions and the rooftop cafe. Want to take advantage of the area's successful bike sharing program? The museum is right across the street from the 15th & Delgany B-Cycle station, and just a block off the Cherry Creek Bike Trail. Denver might be known for its breweries, but when locals need something different, they look beyond red ales and IPAs. Check out the Infinite Monkey Theorem, an urban winery in the hot River North neighborhood. It prides itself on throwing epic parties and making seriously good wine, all without the pretense. Pro tip: one of the area's best restaurants, the Populist, is right around the corner, so grab dinner first and then head to the winery for a post-meal indulgence. Cocktail lovers shouldn't miss a trip to Leopold Bros, where visitors can taste everything from well-balanced gins to decadent flavored liqueurs. Is whiskey your go-to drink? Head to Stranahan's for a tour or a sampling of their hand-crafted, small-batch whiskey. While some prefer Washington Park, lately Sloan's Lake is becoming a hot spot for a quick run or walk. Located just west of the city and near the happening Highland's neighborhood, it boasts multiple playgrounds, tennis courts, and views of both the city skyline and the mountains. After you tackle the two-mile trip around the lake, head to nearby Hogshead Brewery for a pint of English-style ale. On the first Friday of each month, the local art world shows off in seven different neighborhoods around town. Featuring gallery exhibits, food trucks, and plenty of tasty booze, First Fridays are the perfect way to dive into this thriving art scene. For the largest concentration of art galleries in Colorado, head to the Art District on Santa Fe. Ditch the car and take advantage of free shuttle coaches that ferry visitors from the light rail station at 10th Avenue and Osage to all the happenings on Santa Fe. As a whole, Denver restaurants lack the national awards and famous chefs that dominate the culinary world of other urban areas. But in the last five years, the local dining scene has exploded with a plethora of new restaurants and worth-the-stop destinations. Whatever your fancy, there's sure to be something delicious. For breakfast, try bagels at Rosenberg's Deli or on-point grits at the Universal. Midday, turn to Vert Kitchen for French-inspired sandwiches (the chicken curry or tuna are both hits) or Biju's Little Curry Shop for fast-casual Indian food with plenty of spice. Denver's not lacking for dinner options, but don't miss creative wood-fired meats at Acorn or upscale Italian (and an amazing wine list) at Luca. After dinner, try to get a reservation at Williams & Graham for award-winning cocktails, or opt for a low-key beer and late-night snacks (Pad Thai Pig Ears, anyone?) at Euclid Hall. You won't be disappointed. When people from outside of Colorado think of Denver's climate, they think of snow. But the best-kept secret here is the amazing weather, boasting more than 300 days of sunshine—which allows plenty of time for patios and outdoor fun. What used to be a boring and unkempt train station has become the hottest spot in Lower Downtown. 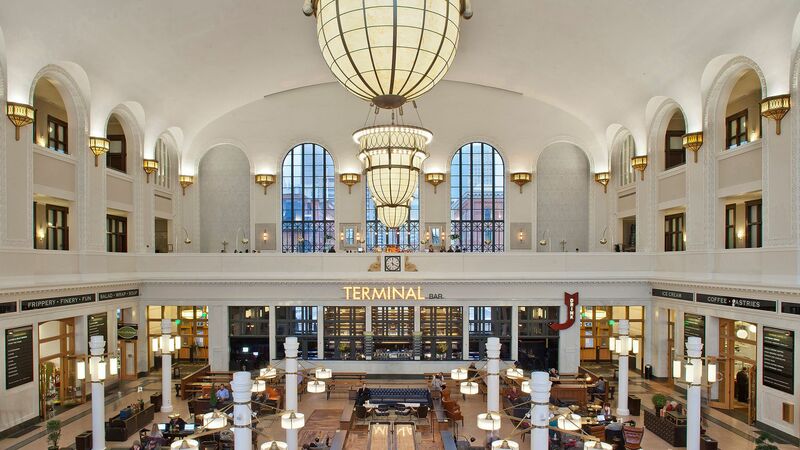 As the city's transit headquarters, Denver Union Station now houses seven restaurants, a hotel, and even a kids' fountain in the summer. Union Station will also soon be the hub for the new Light Rail that will connect the city to the Denver International Airport in April 2016. Try dinner at the seafood-centric Stoic & Genuine, or grab a drink at the Terminal Bar, the train station's renovated ticketing office. Finally, satisfy your sweet tooth with a trip to the Milkbox Ice Creamery. You'll get sixteen flavors of Little Man Ice Cream and a look at the former barbershop space's large mirrors and Terrazzo floor. No matter how many guidebooks you read on Hong Kong, there are still many sights awaiting your discovery in this vast city. Here, we narrow in on a few of the lesser-known spots that makes it such a memorable and lively place. You may want to skip the Giant Buddha for these underrated, one-of-a-kind experiences instead. They may not have earned any Michelin stars (yet), but cha chan tengs are the heart and soul of Hong Kong cuisine. These casual dining establishments are the trusty greasy spoons you can always count on for a cheap and tasty fix. Without classic scrambled eggs at Australian Dairy Company or the Schweppes-bottled milk tea at Shui Kee, how else would Hong Kongers get their industrious drive in the morning? Only in Hong Kong would you find an escalator so famous that it warrants screen time in numerous movies. 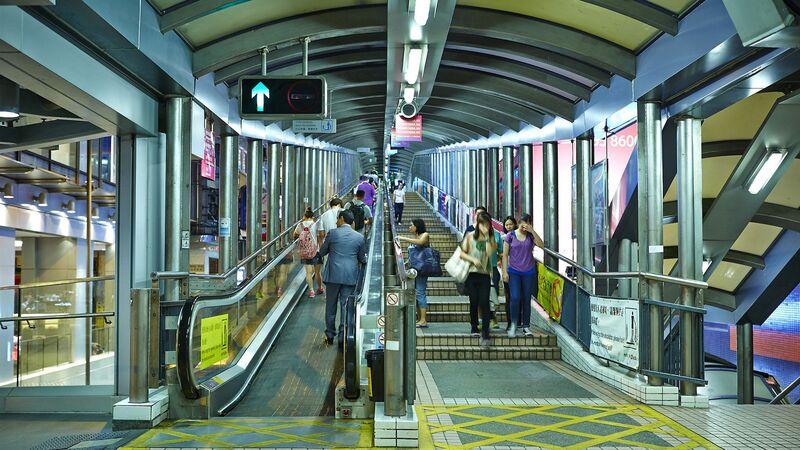 The longest outdoor escalator in the world, this winding device—which connects the city's nerve center to residences halfway up Victoria Peak—has been the backdrop in The Dark Knight and Wong Kar Wai's Chungking Express. Really puts the glamour in going downhill, doesn't it? Insider tip: It moves downwards from 6 a.m. to 10 a.m., and goes uphill from 10:15 a.m. to 12 a.m. Even when you've grown tired of Hong Kong Island proper, you still get a handful of isles to explore. These are the only places in the area where time has stood still and heritage sites have remained mostly untouched from the tentacles of urbanization. The street snacks of Cheung Chau, sandy beaches of Lantau Island, and fishing villages of Lamma Island are just a few of the reasons why you should make an island day trip during your next visit. Some metropolises are heralded as cities that never sleep, but even they would pale in comparison to Hong Kong when it comes to grabbing a bite in the wee hours of the morning. These late night food stalls (called dai pai dongs in Cantonese) don't open for business until after dark, but their stir-fried meats and noodles will keep you stuffed way past their midnight closing hours. Look for them along the Temple Street Night Market. Many of Hong Kong's festivals are considered an intangible marker of cultural heritage that you can't find anywhere else in China (and no, we're not talking about the Cockenflap music festival). These celebrations are often centuries-old, and feature unique traditions like street parades of children on stilts, and a climbing contests on a tower made of buns. Read more about the Bun Festival, Hungry Ghost Festival, and the Mid Autumn Fire Dragon Dance if you're intrigued. When you think of Hong Kong, nature isn't the first thing that comes to mind. Tucked away from the skyscrapers and busy highways, however, are natural wonders formed millions of years ago. If you can spare the time, the Sai Kung Volcanic Rock Region and the Northeast New Territories Sedimentary Rock Region are just some of the wonders you must see. Congested traffic is a given in any city, so thank heavens for a trusty alternative when you need to be on the other side of the harbor fast. The ferry operates seven days of the week at eight- to 20-minute intervals, and costs less than $0.50 per trip. Convenience isn't even the best part: A gorgeous vista of skyscrapers on both sides of the Victoria Harbor will take your breath away, no matter how many rides you've taken. From the iconic (Central Park) to the obscure (the Elevator Historical Society Museum), New York City offers travelers a dizzying array of options. Our picks for the city's most underrated sights aren't unknown, but they are underappreciated—especially by first-time visitors to the city. This one is a no-brainer. Who doesn't like a free cruise across New York's harbor? (Just make sure you get on a return ferry back to Manhattan.) Good for day or night, though not inclement weather. You can see Brooklyn, the Statue of Liberty, and all of lower Manhattan spread out before you when you ride the Staten Island Ferry. Museum admission can really add up in New York, with many institutions charging more than $20 per adult; however, many of New York's most beloved museums show prices that are merely a suggested donation. Gain entrance to Metropolitan Museum of Art and the American Museum of Natural History for as much—or as little—as you'd like to pay. Located within Fort Tryon Park, itself perched on a cliff that overlooks the Hudson River and the George Washington Bridge, the Cloisters is assuredly one of the most beautiful places in New York. Located at the top of the island of Manhattan, the Cloisters is a part of the Metropolitan Museum of Art, so fare at one museum pays for entry to the other, provided the visit is the same day. Built by John D. Rockefeller Jr. in 1917, the Cloisters is a franken-museum, made up of pieces of disparate medieval European monasteries threatened by demolition. 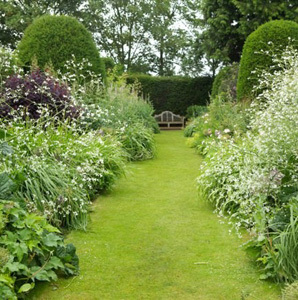 The result, however, is strikingly lovely and peaceful. Housed within a beautiful Beaux-Arts building, the Brooklyn Museum is just down the road from the Brooklyn Botanical Gardens, Prospect Park, and Grand Army Plaza. With recent blockbuster exhibits of Basquiat and Kehinde Wiley, this institution is a must-see. 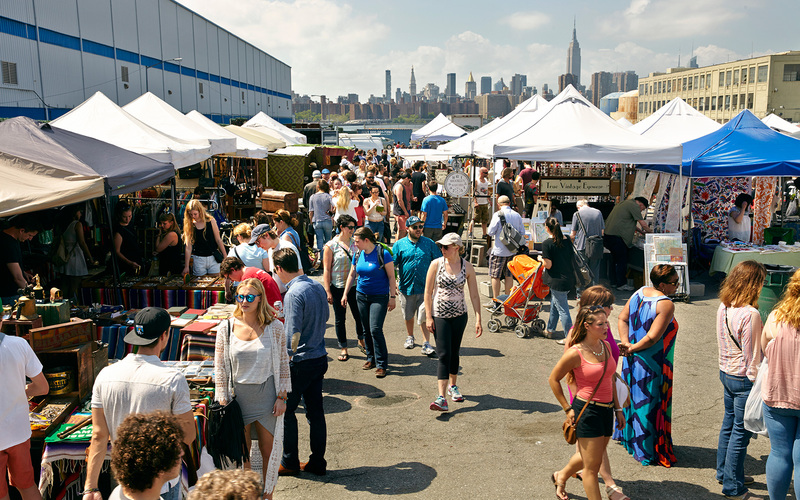 There are few places in Brooklyn that better concentrate all the new stereotypes—good and bad—about the borough than the Brooklyn Flea. All artisanal everything is available here, from ramen burgers to borough-made crafts and upcycled clothing. Grab a pie at Keste or John's, and then head to the IFC Center in the West Village for one of their eclectic and rotating late night shows. They show everything from cult classics like The Warriors to beloved nostalgia-trips like Jurassic Park, with a lot more in between. Since the opening of Luna Park in 2010 (named after a historic amusement park), Coney Island has had a new lease on life. All the old gems are still there: Nathan's, the Cyclone, the Wonder Wheel, but now a lot more else besides. Plus, there's the beach. There are multiple Chinatowns throughout New York City, but Flushing's stands out for its particularly delicious, diverse, and cheap food. Deep within Queens, it's still a bustling intersection of people and culture and commerce. Check out the New World Mall food court to build your own buffet. Since Robert Moses sliced up the borough with his Cross Bronx Expressway in 1948, the Bronx has had a bad rap. But, home to the Yankees, the New York City Botanical Gardens, the Bronx Zoo, and several historic mansions, it's a place ripe for exploration. As usual, we've got you covered. When one thinks of places to visit in Paris, a trip to the Louvre or a ride to the top of the Eiffel Tower often rank high on the list of things to do. While these sights tend to attract the lion's share of travelers, there will always be a special place in our hearts for the more unacknowledged Parisian experiences. If you’re interested in discovering something a bit more intimate, a little less crowded, and dare we say, a bit more authentic than the city’s more celebrated counterparts, then you might want to check out the most underrated places that merit a visit on your next trip. Despite appearances in both the Dan Brown and Ron Howard iteration of The Da Vinci Code, Paris's second largest church remains surprisingly under-visited. Nestled in the heart of the Saint Germain district, Saint Sulpice is easily recognizable by its impressive white façade and mismatched bell towers. Boasting three paintings by French artist Delacroix, who also has pieces on display in the Louvre, the Baroque interior is not only stunning to enter but free, too. Gourmands from around the world fawn over the colorful macarons at Ladurée and Pierre Hermé, but it’s the lesser-known bakeries that often produce superior products. Sure, it's all a matter of personal preference, but the macarons at Pain de Sucre, by the Pompidou Center in the Marais, are top-notch. While the thought of visiting a cemetery may not sound like the most appetizing option when traveling to the city of love, you many reconsider when you discover the history and beauty that abound the above-ground mausoleums and chapels. While there is a large cemetery in each cardinal direction of Paris, the Père Lachaise cemetery in the east is the largest and perhaps most well-known, as well as the final resting places of Edith Piaf and Oscar Wilde, among others. Sure, travelers are busy visiting the Louvre, the Musée d'Orsay, and the Pompidou Center—but lines at the military museum are nonexistent. Maybe it sounds geeky, but the artifacts dating back to the Middle Ages up through World War II are fascinating, culminating in a visit to Napoléon's over-the-top tomb. Displays are in English, to better help visitors understand what they're seeing. This may sound obvious, but far too often, travelers have a tendency to seek out award-winning bakeries that are tailor-made for Instagram, and they'll travel across the city for a baguette or croissant. Parisians, however, rarely travel too far for bread, which means many visitors are overlooking their local no-name bakeries, where bread is sometimes even better than whatever your favorite food-blogger has been tweeting about recently. Tourists manage to find Rue Montorgueil, the less-gaudy version of Rue Cler, but its location just north of Les Halles and spanning the length of the 1st arrondissement and 2nd arrondissement can be somewhat off-putting. The former market district is something of a permanent construction site, but Rue Montorgueil is far enough away from the unpleasantness and features the city's oldest pastry shop, fantastic cheese mongers, and lively bars, which is decidedly more local than other streets. The gardens within the arcades of the Palais Royal are never as busy as they should be—probably because everyone is across the street at the Louvre. 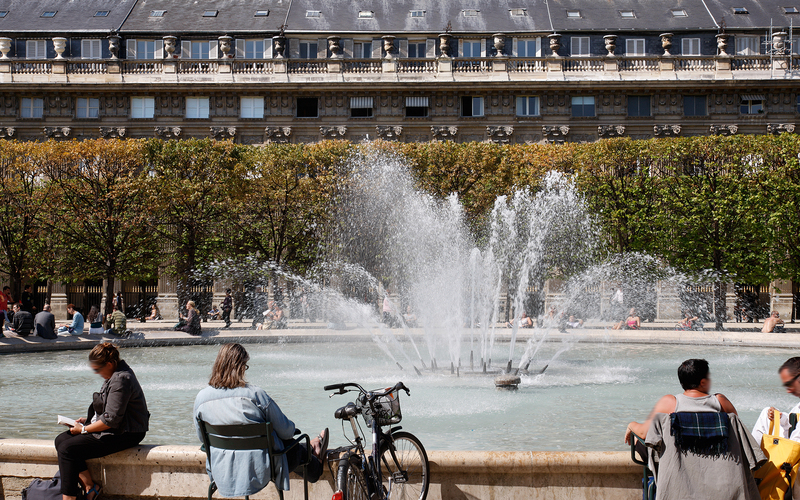 There's something to be said for sitting by the fountain on a sunny day, surrounded by Parisians who know how to kick back and relax. 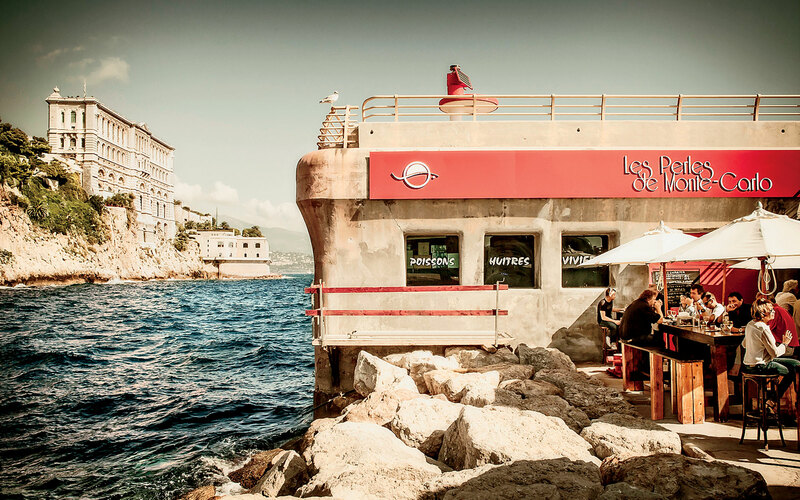 A coffee from the Kitsuné, under the arcades on the western edge, will round off any stroll through the pristine gardens. There’ve been so many boutique coffee shops popping up across the city that it's a bit hard to keep track. While the coffee is likely to be good at these locales, the atmosphere is not always as inviting. There's something to be said about lounging on a café terrace with a $2 espresso as you watch the world go by. 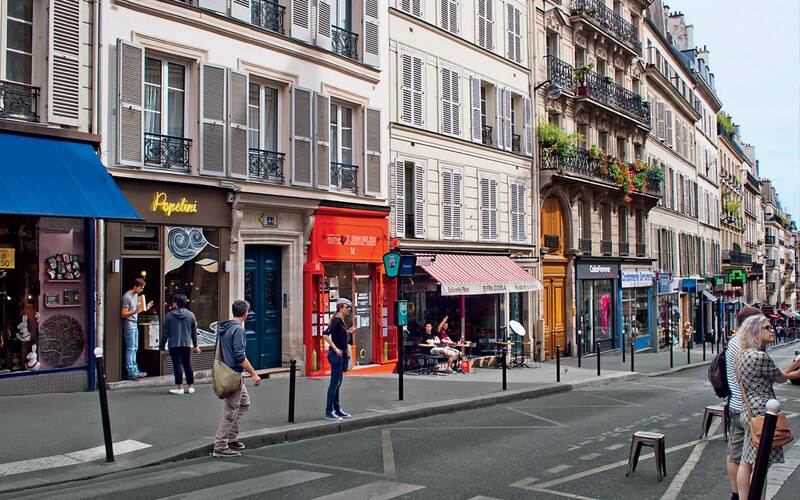 This little Marais mainstay is dedicated to all things Parisian history. Housed in two mansions built in the 16th and 17th centuries respectively, it's free, charming, and often goes overlooked by tourists. Lines at the nearby falafel shops are longer than any lines that can be seen at the Carnavalet. Sure the falafel is good, but the Carnavalet is just as delicious. Cheesesteaks, the Liberty Bell, and the Love Park sign: these are things we all think of when planning a trip to Philadelphia. But chances are, you won't catch a local eating his or her cheesesteak at Pat's or Geno's. 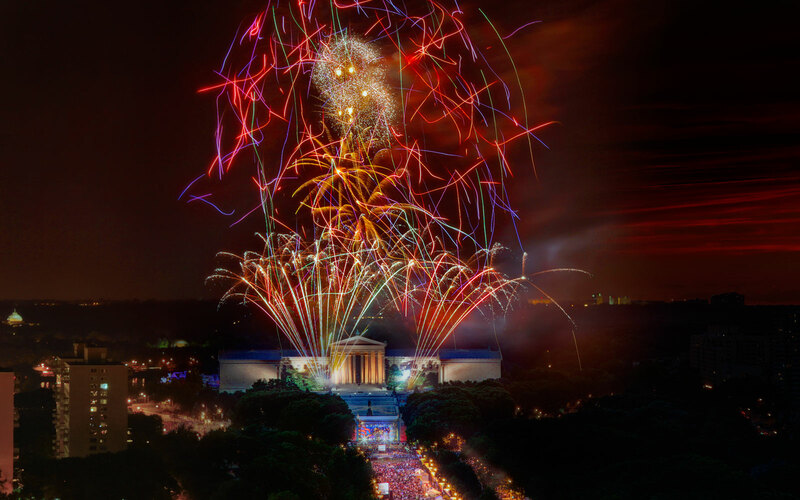 As the birthplace of our country's constitution, its first capital, and home to a vibrant nightlife, the City of Brotherly Love is a critical stop for anyone visiting the east coast. Located halfway between New York City and Washington D.C., it's a prime location for anyone looking to experience American history. After all, you can't miss the Old City, which houses the constitution center, and Elfreth's Alley—the oldest residential street in the United States. While these are all sights worth checking off the Philadelphia tour list, they are not the only ones. Here are a few lesser-known foods, neighborhoods, and sites you can't miss during a visit. While a great cheesesteak sandwich is the city's most famous, it isn't the only one that it does well. 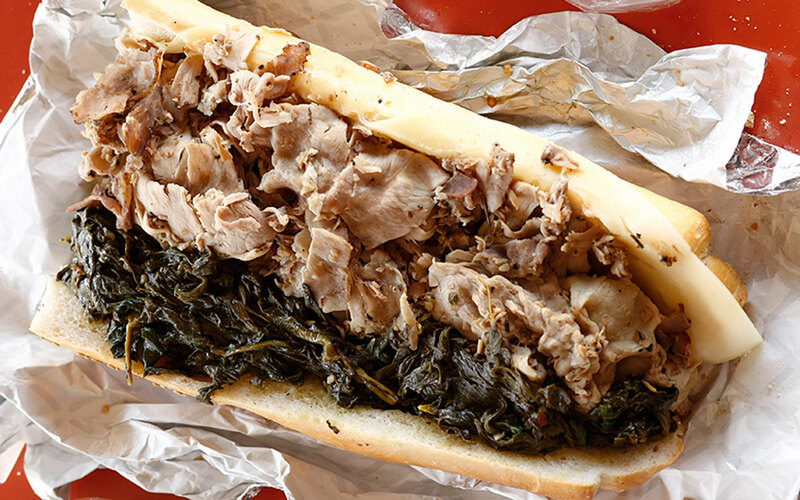 Freshly baked hoagie rolls, crusty on the outside and soft on the inside, filled with slowly roasted pork, sharp provolone cheese, broccoli rabe, and a long hot pepper or two is something that can't be skipped if you're in town. Go straight to John's Roast Pork in South Philadelphia for the best roast pork and cheesesteak in the city, and check their hours before making the trip—this isn't a late-night establishment. Located in the Fairmount neighborhood, Eastern State was the first penitentiary in the world, and has been replicated across the globe several times since opening in 1829. Choose from an assortment of tours that it offers, such as history or architecture, and view a replica of the cell where Al Capone was held in 1929 through 1930. If you happen to be in the city around Halloween, be sure to stop by for Eastern State's annual haunted house. This hip, up-and-coming neighborhood is typically not on the tourist radar. Fishtown, however, has been experiencing a huge growth spurt over the past few years. It's as if there's a new café or bar opening every few weeks. Start at the intersection of Girard and Frankford on a Friday or Saturday night, and take your pick of assorted food trucks, bars, dance clubs, and even a bar-and-arcade combo. Johnny Brenda’s is a great spot to check out for beers, food, and a game of pool; the Barcade for some old-fashioned arcade games; and the Barbary for dancing. While New York City's street vendor pretzels are great, they don't compare with the pretzels that can be found at the Pretzel Factory, located at 8th Street and Washington. This bakery serves hot, fresh pretzels at the affordable price of three-for-$1. Since the main clientele here is the city's street vendors, they don't open until midnight, which allows vendors to purchase fresh pretzels to sell during the early morning commute for other city workers. The best way to experience this treat is by showing up as soon as they open their doors, in order to ensure buying hot ones. The rolls that Philly is famous for, that are used by many local hoagie and cheesesteak shops (such as John's Roast Pork, above) come from Sarcone's bakery. At Sarcone's deli, a few doors down from the bakery, you can find some of the best Italian hoagies in the world. Forget the Reading Terminal Market (or at least add this to the list). While on your South Philly food tour, be sure to swing through the Italian Market. This stretch of south 9th Street is filled with assorted vendors and incredible deals on produce and meats. Even if you're not in town to do your grocery shopping, experiencing the atmosphere gives visitors a good feel of what this city is about and how the locals live. During the winter, vendors keep fires lit in drums to keep warm while working, which only adds to the atmosphere. Located in Center City and across the street from the famous Love Park, this building's architecture is incredible. With the statue of William Penn on top, this was the tallest building in the city until 1987. Take a tour of the interior, get an uninterrupted view of the skyline from the observation deck, or simply admire the exterior and capture an iconic snapshot from the stretch of Broad Street on the southern side. If you plan on spending New Year's Day in Philly, you can't miss the Mummers Parade; a city tradition. Many groups and organizations in town work on costumes and routines all year, and the entire length of Broad Street south of City Hall is closed for the parade. Come January 1, people line the street to admire the costumes and watch the string bands. Go early in the morning and try to find a spot around the intersection of Broad and Washington; this is one of the best places to see the various performances. Almost everyone visits the Old City neighborhood, and most stroll right past the Khyber without even acknowledging its existence. This small, hole-in-the-wall bar recently went through a renovation and now offers some of the best barbecue in the city. With 22 rotating craft beers on tap, beer lovers will definitely appreciate the microbrews on offer. Afterward, stop by the Plough and the Stars, located directly across the street, which offers the best Guinness in the city due to its imported Irish tap system. Everyone likely pays a visit to the art museum for a victorious run up the stairs, as Rocky Balboa did in Rocky—but leaving without first wandering out back is a mistake. With a beautiful walkway along the Schuylkill (skoo-kill, for the out-of-towners) River, newly built gazebos, and incredible views of the boathouse row lights, this is one of the most beautiful areas to walk at night. Located within Fairmount Park, the largest urban park system in the country, Belmont Plateau offers some of the best views of the Philadelphia skyline from afar. This open, grassy area of the park is great for picnics or a game of Frisbee with a postcard-worthy backdrop. Fairmount also has a large network of hiking and biking trails if you want to stay outdoors. What's not fun: Waiting in line for an hour (probably in the rain, because it rains a lot in Portland) to get a stale donut with a sexually suggestive name. Hiking past women in heels who have popped out of their cars to snap waterfall selfies. Fighting the crowds at an open-air craft market where the crafts are either made of old forks or flown in from China. If you're in town and want to see the best of what Portland has to offer, here's what should really be on your itinerary. For $5, you can drink cold beer while submerged in warm saltwater at the Kennedy Soaking Pool. The ceramic pool is flanked on all sides by greenery, but the chilled-out vibe can get rowdy if there are a lot of kids around. Avoid them by going between 10 a.m. and 11 a.m., or after 6 p.m., when minors get kicked out. Imagine Whole Foods in the halcyon days and you have New Seasons Market, a crunchy local chain. Their carefully curated home goods department has locally made socks, candles, mugs, and other souvenirs that are just as good—if not better—than anything you'd find in a gift shop. Plus, you can pick up stuff for an awesome picnic. Feel free to ask for a sample of anything; employees are happy to open a carton of yogurt or slice off a hunk of apple for you. In the time it takes to get to the front of the Pine State Biscuits line, you could drive over to Mt. Tabor, seat yourself in a cozy corner table, and be slathering Coquine's buttermilk-buckwheat biscuit with honey-thyme butter or fig-fennel jam. Nearby Multnomah Falls gets all the love—and all the crowds. But Horsetail Falls Trail, an easy 2.7-mile loop a few minutes away, takes you past 176-foot Horsetail Falls, above Oneanta Falls, and behind Ponytail Falls. Tack on an optional 1.8-mile side trip to see Triple Falls, too. Portlanders are obsessed with food carts; and the Portland Mercado pod is worthy of that fixation. You can eat Mexican, Colombian, Salvadoran, and Argentinian food at indoor or outdoor picnic tables, then go home with churros, chorizo, and a piñata made from recycled materials. Portland is known for its ice cream, and while places like Salt & Straw have inventive flavors, the wait can be mind-numbing. Go straight to the counter at Eb & Bean, an organic frozen yogurt shop, where the flavors (which always include at least one nondairy option) change every two weeks. Even their toppings are artisanal: Think cinnamon-sugar donuts, salted vanilla caramel corn, and marionberry compote. You'll get unique views without feeling like a total tourist at the Portland Aerial Tram, because plenty of passengers use the tram as a means to get to work. 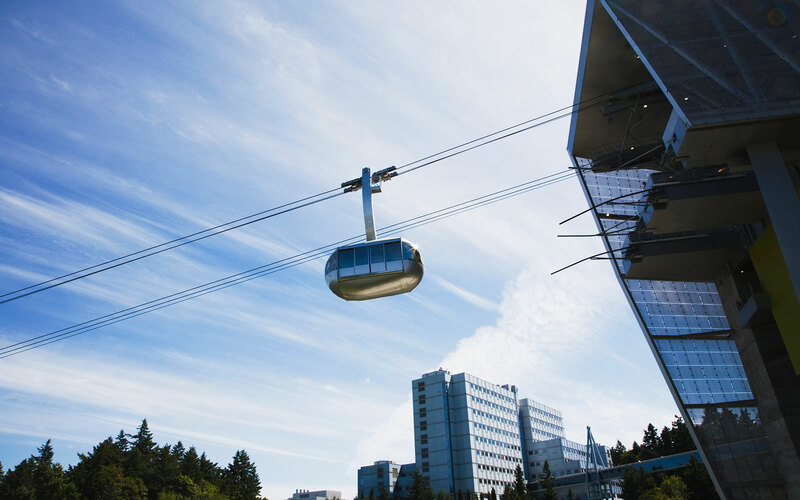 The roughly 10-minute-roundtrip ride takes you from the south waterfront district to the top of Marquam Hill, where you can look out over the city. Portland could be accused of taking its beer (and cider, and cocktail) culture too seriously. Avoid all pretension at The Alibi, an over-the-top tiki bar where neon tropical drinks make the nightly karaoke go down easy. The Japanese Garden is lovely, but it's closed for construction through March 2016, and the Zen vibe is dulled a bit by all the people Instagramming the cherry blossoms. But Elk Rock Garden, a 13-acre once-private garden overlooking the Willamette River, has ponds, waterfalls, magnolias—and no entrance fee. Stumptown, one of Portland's best-known exports, was recently purchased by Peet's. Skip it for beans sourced from family farms in Brazil by Nossa Familia, which offers a free weekly cupping in the Pearl District that includes a tour of the roastery. Or sign up for a brewing class and go home with a bag of beans for yourself. 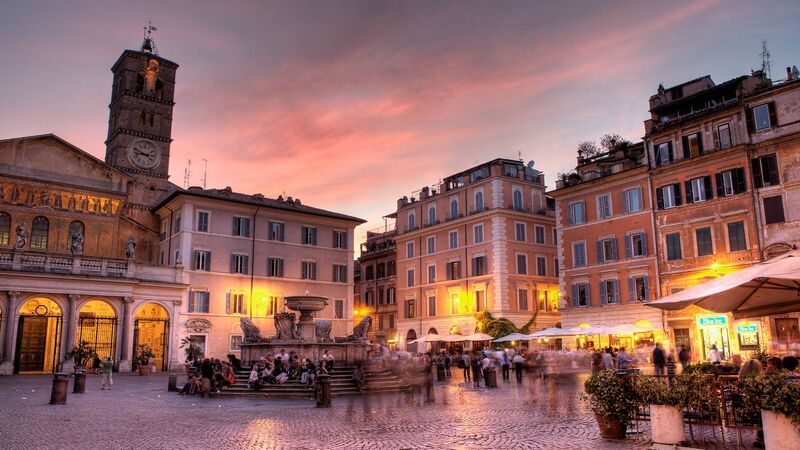 Rome's most famous sites are as spectacular as you've heard—those Popes and emperors knew how to put on a show—but some of the most memorable corners of the Eternal City are its least known. If you've already visited the city's greatest hits, then head to these under-the-radar spots next. The official seat of the Roman pontiff, San Giovanni is the cathedral of Rome. It's been a cathedral in name more than spirit since Pope Julius II—he who commissioned all those Michelangelos—moved papal operations to Saint Peter's in the 16th century. (His motivation? It's where he planned to build his oversize tomb.) In the early 4th century, Emporer Constantine donated it to the Church for the construction of a cathedral and residence. It features spectacular interiors by Borromini, a sixteenth century coffered ceiling detailed with real gold, and an intricate mosaic floor. Pay close attention to the bronze front doors: they were taken from the Roman senate building in the Forum. A short walk from San Giovanni, San Stefano is tucked away on a side street next to a large hospital. Built in the style of a pagan temple (many of which were converted into early Christian churches) around 468, the central altar and circular nave call visitors back to an earlier time. What's most striking about San Stefano, however, are the 16th century frescoes of brutal martyrdoms, supposedly painted for departing missionaries to help them prepare for the worst. They give Saw a run for its money. Rome is a layer cake of history, and nowhere is it easier to see that cross section of time than the complex of San Clemente, located in the shadow of the Colosseum. The ground layer is a medieval church, built circa 1110. Down a set of stairs, the next layer dates from the 4th century: an early church that was built on the foundation of a noble home. The basement of that home, the third layer holds a warehouse and served as a place of worship for followers of Mithras, a popular Persian god in Rome. Rome—despite significant evidence to the contrary—is not made up entirely of churches. South of the city center lies the Fascist-era neighborhood of EUR, originally commissioned by dictator Benito Mussolini as a future sight for a world's fair, and a special spot not many tourists know to visit. Think ancient Rome with a dark modernist twist. The Palazzo della Civiltà Italiana is a particularly striking answer to the Colosseum. Now, it houses the Fendi headquarters, and though you can’t tour the entire thing, you can see the ground floor. Around the corner from the larger Santa Maria Maggiore, this 8th century church was designed to house the remains of the two martyred daughters of St. Peter's first Christian convert in Rome. A jewel box of a church, it's full of shimmering mosaics that give Ravenna's famous Byzantine tesserae a run for their money. South of the Aurelian Walls, the traditional boundaries of Rome, begins one of the oldest and most important roads in the world: the Appian Way. Begun in 312 BCE, parts of the road are still used today by cars, pedestrians, and—especially—bicyclists. The large and uneven basalt stones are the original paving. Rent bikes at the Parco Regionale dell'Appia Antica office and pedal past Christian catacombs, Roman tombs, and the distant arches of the Claudian Aqueduct for a memorable afternoon excursion. Located on the Capitoline Hill (but inconveniently inaccessible from the Michelangelo-designed piazza outside its museum—you have to walk back down the hill and use a separate set of stairs up), Santa Maria in Aracoeli features rare Pinturicchio frescoes from the 15th century in the Bufalini chapel. Try an unusual cocktail at Caffé della Scala (the "Black Velvet" is half Guinness, half prosecco, and a total delight; Via Della Scala 4; 39-06-580-3610) and catch live jazz or DJ set at Lettere Caffè Gallery. Don't forget to linger in some of the neighborhood's many piazze: the fountain in front of Santa Maria in Trastevere is particularly lovely at night. Until recently a meat processing district, Testaccio is now one of the hubs of Roman nightlife. Try Akab or On the Rox for their crowded dance floors and Conte Staccio for live music. There's nothing wrong with Sydney's most famous attractions—in fact, no trip would be complete without a ferry ride around the harbor and an ice-cream break on the steps of the Opera House. But locals and savvy visitors know that the best of Sydney can be found away from the crowds, in neighborhoods and coastal areas that guide books neglect. Spend some time exploring these underrated things to do, and you'll be generously rewarded. Beaches of the Eastern suburbs, like Bondi and Coogee, may boast dramatic vistas and bronzed swimmers, but for an authentic Aussie ocean dip, travel north across the Harbor Bridge and investigate the scores of low-key coastal strips that make up the Northern Beaches region. 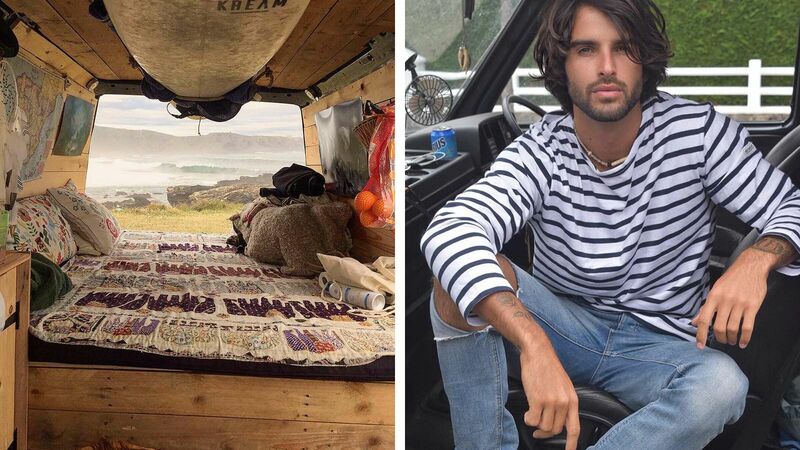 This is a tourist-free zone, where surfers, families, and nature-lovers congregate. 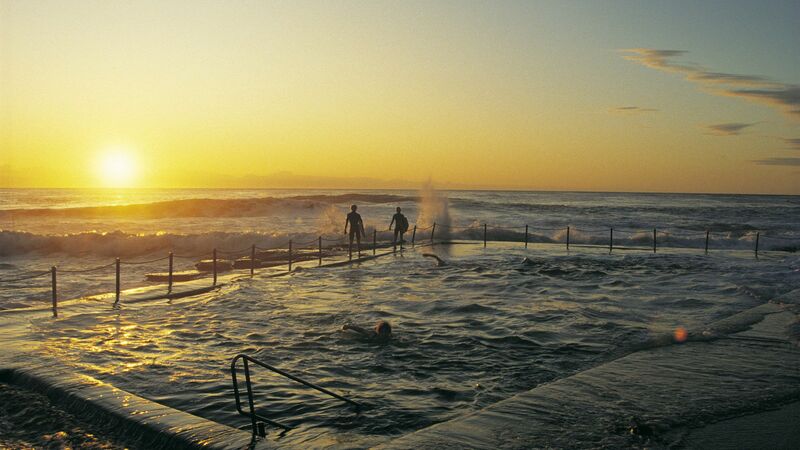 Many of the beaches—including Avalon and Curl Curl—feature outdoor swimming pools known as rock pools that are fed by tidal water, and are popular with lap swimmers. Thai is Sydney's unofficial cuisine, and no-fuss Thai restaurants are ubiquitous throughout the metropolitan area. Recipes have evolved over the years to take advantage of Australia's bountiful produce (you'll find vegetables like red peppers and green beans in most curries), and seafood variations are particularly popular. Because Thai food is so common, and competition is high, you can eat handsomely for a fraction of what you would pay at the tourist-focused restaurants downtown. Try Thai on Wok, in Glebe, a local favorite. The Cross, as it's known, is full of nightclubs, adult entertainment, and hostels for backpackers. You'll probably read about it in guide books and decide to steer clear. But reconsider: just streets away from the seediness are residential pockets that are among Sydney's most enchanting. Hidden between The Cross and the harbor is Elizabeth Bay, a secret enclave full of Art Deco apartments, leafy parks, and excellent cafes. Also nearby is Potts Point, which has long been a favorite of the city's bohemians and creatives. Australia is not known for home-grown designer clothing, and Sydney has long been considered secondary to Melbourne when it comes to boutiques stocking the best from overseas. But it is possible to find some world-class items here: try Harrolds, a luxury department store for men and women that stocks brands like Rick Owens and Comme Des Garcons, and Sneakerboy, which carries high-end urban wares from the likes of Raf Simons. Don't miss Song For The Mute, an internationally renowned avant-garde label that has its flagship store in a beautiful converted warehouse building in Glebe. 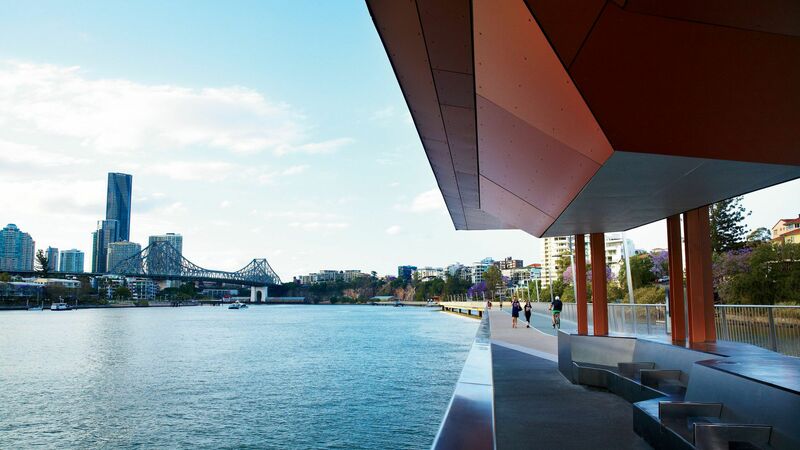 Locals know that the start of winter is Sydney's most fertile time for arts and culture. Three major festivals run almost back-to-back: there's the Sydney Writers' Festival, the Sydney Film Festival, and VIVID, which combines harborside light installations with a program of live music at the Opera House. All three events are marketed squarely to residents, meaning there's an array of culturally relevant content from local artists mixed in with international work. Melbourne is known as Australia's live music capital, but there's plenty going on in Sydney, too: you just have to look harder to find it. Newtown Social Club offers rock show most nights of the week, with popular Australian acts and cult international artists sharing the space, while underground venues like Red Rattler and Black Wire nurture active punk, jazz, and queer performance scenes. These venues are often ignored by the mainstream press, but you'll find vibrant work here that will help you understand the city—and the country—more fully. International visitors are encouraged to visit Sydney in Summer, but locals know that these months—December, January, and February—are the ones to avoid: the humidity is stifling, and many business close down for weeks at a time while their owners take vacations. The smarter move is to come in Spring or Autumn, when there are fewer tourists to deal with and distinctive seasonal delights to discover. During September, October, and November, the city is known for its stunning sunsets, evening thunderstorms, and beautifully mild nights; while from March to May, the ocean is at its warmest. These are the times that Sydney really stuns. Ask any Torontonian what some of the city's best things are, and you'll likely get a range of answers. That's because some of the less-lauded fare is just as terrific as the spotlight-huggers. From low to high art, tremendous vistas and live concerts, here are a few of Toronto's lesser-hyped—yet just as worthy— sights and happenings. To really get a feel for the city, best to experience a few from each. 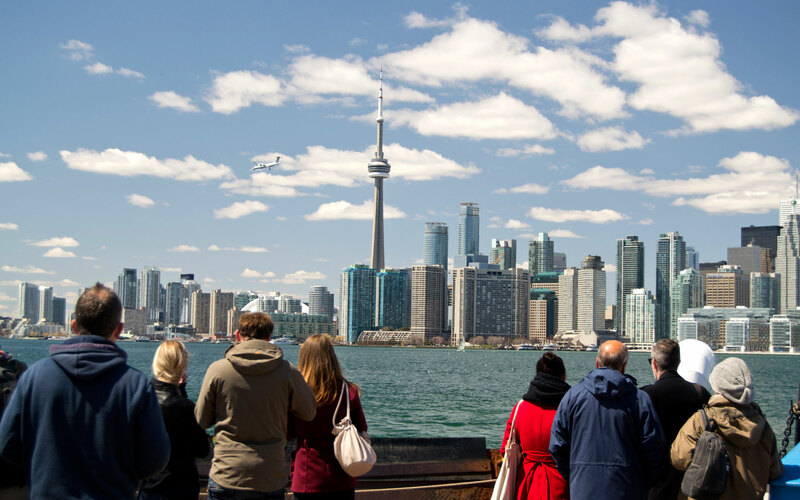 If you're visiting Toronto during the warm-weather months, grab the ferry from Queen's Quay and bring with you a delicious picnic, a cozy blanket, a camera, comfy walking shoes, and your sense of wonder. The ferry will shuttle you over to Centre Island, but you'll want to walk east to Ward's Island. Away from the hustle and bustle, come in the early evening for an alfresco dinner, and soak up the lilac-scented air and the multi-hued sunset. Prepare to be wowed as the sun dips and the city lights up, offering a glittering view of its skyline, iconic CN tower included. In the city's west end, you'll find the High Park Amphitheatre, where for close to 35 years now, the Canadian Stage company has been producing live "Shakespeare in the Park" performances. The shows are PWYC (Pay What You Can, with a minimum suggested donation of $15 a person), but you can opt to reserve a cushioned seat in the "premium zone" for $18. From July to early September, folks come armed with unobtrusive, low-lying chairs, blankets, and a few snacks to enjoy with the show. Past productions include Julius Caesar, The Comedy of Errors, and Macbeth. If all of that picnicking has you craving some exercise, OM T.O. Fit for Fall might just be the ticket. A new event created by a local wellness magazine, the event takes place in early September in the historic and cobblestone-lined Distillery District. There's a full, continuous day of interval training, outdoor stretching, Pilates, yoga, and meditation classes led by some of the city's most dynamic instructors. This year, Toronto's own DJ Medicineman curated the aural experience for some of the classes. The event is free and open to the public. Toronto has a slew of live music venues, from funky, standing-room-only bars to behemoth, multi-thousand-person spectacles. Somewhere in the middle is The Danforth Music Hall, at the edge of Greektown on Toronto's east side. Originally built as a movie theater in 1919, it earned its Music Hall name when it started hosting live acts in the late 1970s. After a thorough remodel in 2011, local and international acts now play for appreciative crowds. Canadian acts like A Tribe Called Red, the Arkells, Buck 65, and The Tragically Hip have shared the stage with Echo and the Bunnymen, and Chet Faker. While the Toronto International Film Festival (TIFF) gets most of the city's big bucks and spotlight, the yearly Hot Docs series presents some of the world's best documentary films. Every spring starting in April, there's buzz about the gripping, moving, and insightful nonfiction films crafted with as much passion than their fictional counterparts. The festival also puts together their Doc Soup Sundays, featuring premieres of the world's hottest art, culture, and design docs, with special guest Q&As from January through June. Screenings take place at 11:00 a.m. It's the seat of our nation's government, a historical landmark full of movers and shakers that has a knack for reflecting the times (as well as the vibe of who's in office). Washington, DC welcomes more than 19 million visitors in a given year—and it's pretty clear why the city is so popular. If it turns out you've already been and are looking for discoveries beyond its most trafficked spots, we've got ideas for you. Read on for our list of the city's most underrated gems—and take advantage of yet more cultural, historical, and natural riches on your next trip. 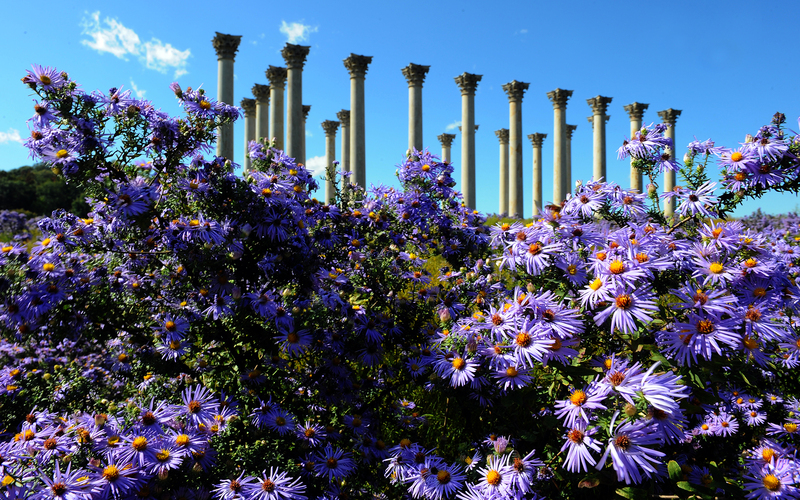 Located in northeast DC just south of New York Avenue, the Arboretum is one of the city's more difficult destinations to reach. (You'll need to either drive or take the B2 Metrobus.) It's worth the effort, though, with 446 acres of forests, meadows, and gardens accessible with more than nine miles of paths. What to see? 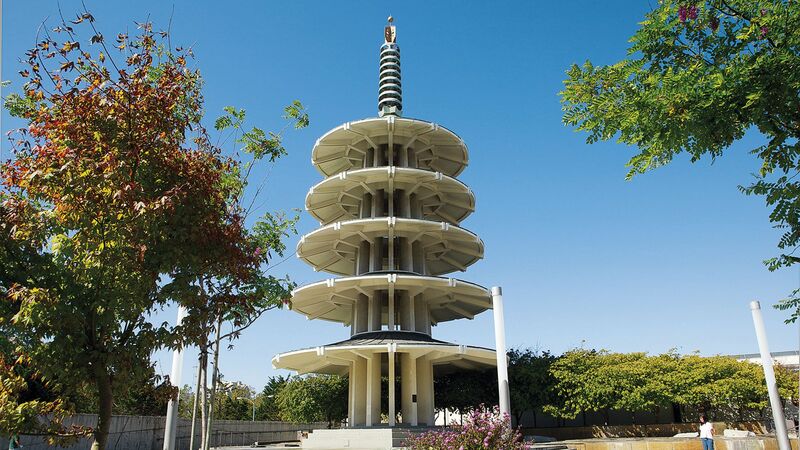 Start with its stunning showcase of bonsai trees, koi ponds, and—most striking—a collection of sandstone columns removed from the Capitol building during a 1958 renovation that stand alone in a green field. Continue this rich experience with a visit to President Lincoln's country getaway, now located within the Armed Forces Retirement Home (known locally as the "Old Soldiers' Home"). Using the cottage as a summer White House, Lincoln would regularly make the 3.5-mile commute from downtown DC alone and on horseback. It's also where the 16th president drafted the Emancipation Proclamation. Though the space inside is minimally furnished, there's plenty to see an experience in this "museum of ideas," which explores Lincoln's time here through the context of the Civil War. Head further south to explore Cedar Hill, the bucolic home of abolitionist Frederick Douglass, located in the southeast neighborhood of Anacostia. (In his later life, Douglass became known as the "Sage of Anacostia.") The charismatic and brilliant public figure lived in Cedar Hill from 1877 until his death in 1895. Highlights include his library, nearly covered in books; and the "growlery," a one-room stone cabin where he could be free to work in seclusion. While you're in the neighborhood, stop by the Anacostia Community Museum dedicated to local and national black history. Founded in 1966 as "an experimental store-front museum," its first home was a former movie theater. Now housed in a custom-designed building, the museum's exhibits include a look at how the Civil War shaped Washington and a future show on the artist group the Spiral Collective. Now better known as the U Street corridor, this bustling strip once played host to jazz greats like Duke Ellington (who grew up nearby), Cab Calloway, Pearl Bailey, Sarah Vaughn, Jelly Roll Morton, and Billie Holiday. Many of the venues that established U Street's importance still exist: catch live jazz at Bohemian Caverns, or a concert or comedy show at the Lincoln or Howard Theatre, where Ella Fitzgerald once competed in and won an amateur contest. Here, you can catch free shows every day at 6 p.m., in the Kennedy Center's Grand Foyer—from jazz ensembles and choirs, to ragtime acts and performances by talented area youth. DC is centered on the convergence of two rivers—the Potomac and the Anacostia. Its larger river, the Potomac, divides the city from the tree-lined Virginia shore, and when the weather permits, it's a unique way to see the city. Check out Fletcher's Boathouse or the Key Bridge Boathouse for rowboat, canoe, and kayak rentals. Originally the house of Robert E. Lee's wife's family—a descendent of Martha Washington—Arlington House is now most famous for being home to the man who lead the Confederate Army. It's located at the top of a particularly lovely hill whose most remarkable feature is that it's surrounded by Arlington National Cemetery. The practice of burying American soldiers there began as an affront to Lee, whose home lay in Union territory. The first graves (and consequently the oldest in the cemetery) were dug on his front lawn. 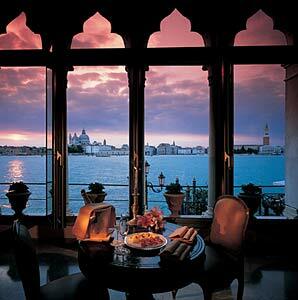 Go for the history, but stay for the view.